You can call it G300, GT300, GF100, Fermi or whatever you like, but the fact is that NVIDIA not only wants it next generation graphics card to be the fastest chip on the block, it wants it to be the best user experience, period. NVIDIA has already demonstrated the Fermi GPU core back in late September, which was probably an attempt to spite the sales of ATI’s Radeon 5000 series of DirectX 11 GPUs. 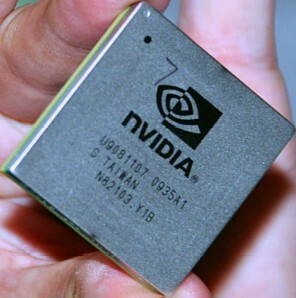 Now NVIDIA is all set to launch the chip to the masses once its done adding a few bells and whistles. We expect [Fermi] to be the fastest GPU in every single segment. The performance numbers that we have [obtained] internally just [confirms] that. So, we are happy about this and are just finalizing everything on the driver side. Sounds like a good idea to make the drivers perfect before launch so that the new chips wont face the problems faced by the previous installments. On the numbers side, while we don’t have any performance figures, we do know that Fermi would have 512 stream processors arranged in 16 clusters of 32 cores each, along with a 384-bit GDDR5 memory controller. The whole chip would be over 3 billion transistors and would support DirectX 11, OpenGL 3.x and Apple’s OpenCL. Still I’ll hold on the final judgment till we get some actual performance figures.